Karnataka State Road Transport Corporation (KSRTC) was established in August 1961 under the provisions of the Road Transport Corporation Act 1950. Availability of adequate, safe and comfortable passenger Transport facility is a very important index of economic development of any Country. Public Transport provides the vital connectivity to far flung areas in a developing society.In this endeavor, the KSRTC has positioned itself with a name for reliability and safety. Till August 1997, KSRTC had a fleet of 10,400 buses, operating about 9500 schedules. In August 1997, KSRTC was divided and a new corporation by the name Bangalore Metropolitan Transport Corporation (BMTC). In November 1997, another new road transport corporation called North Western Karnataka Road Transport Corporation (NWKRTC) was formed to cater to the transportation needs of North Western parts of Karnataka. Recently, the North Eastern Karnataka Road Transport Corporation (NEKRTC) was also formed with its corporate office in Gulbarga. The company runs a fleet of buses of all types like ordinary, semi-luxury, deluxe and air-conditioned Volvo "Airavat" buses. The KSRTC operates services within Karnataka as well as far flung destinations such as Trivandrum, Mumbai and Vijayawada among others. The KSRTC runs different type of buses to suit every section of the society. Their main mission is "Meeting Challenges with Innovation". Three corporations viz BMTC, Bangalore from 15-08-1997, NWKRTC, Hubli from 01-11-1997, NEKRTC, Gulburga from 01-10-2000 were carved out, on a regional basis. 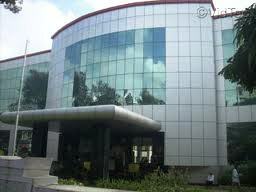 KSRTC has one Corporate office in Bangalore. Divisional Offices: 12(including newly opened Puttur division ) Bus Depots 72 Divisions 15 Bus Stations: 128 Vehicles 7599 Effective Kms per day 24.91 lakhs Schedules 6881 Average traffic revenue per day 589.78 lakhs average passengers travelled per day 23.60 lakhs Staff 34019 Staff ratio per schedule 4.94 Bus Bodybuilding Workshops, 10 Printing Presses, 1 Driver and others Training Institutes, 3 Hospital, 2 Officers/Employees Quarters 782 Sports Complex. Golden Peacock Innovative Product/Service Award-2010 for implementation of (AWATAR- Any Where Any Time Advance Reservation System) from Justice P.N.Bhagavathi, former chief Justice of India, Member United Nations Human Rights Commission and Chairman Golden Peacock Awards. AWATAR won National Award for e-Governance 2009-2010 in Best usage of Information and Communication Technology by PSU's at 13 th National Conference on e-Governance organized by The Ministry if Personnel & Public Grievances (Department of Administrative Reforms & Public Grievances) Government of India. Apollo-CV Award -2010 as Best Public Bus fleet Operator of the Year. 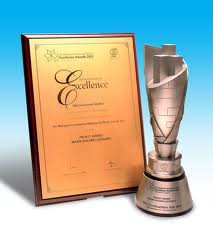 Karnataka State Road Transport Corporation (KSRTC) has bagged the 'National Telecom Award 2012' under the category of'Innovation in Public Service Applications'. Karnataka State Road Transport Corporation (KSRTC) and Bangalore Metropolitian Transport Corporation (BMTC) bagged the Association of State Road Transport Undertakings (ASRTU) awardsinstituted by the Union Ministry of Road Transport and Highways.